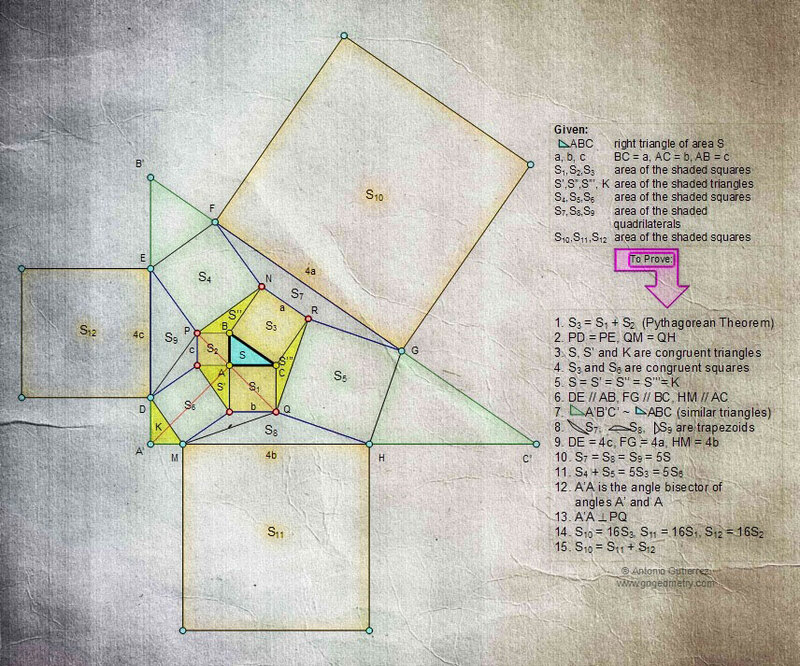 Sketch of Geometry Problem 884: The Pythagorean Curiosity, Fifteen Conclusions. iPad Apps. Reference: Loomis, Elisha Scott. The Pythagorean Proposition, Classics in Mathematics Education Series. National Council of Teachers of Mathematics, 1968. Elisha Scott Loomis, Ph.D., LL.B., was professor of mathematics at Baldwin University for the period 1885-95 and head of the mathematics department at West High School, Cleveland, Ohio, for the period 1895-1923.